Our Diagnostic Technician Certified program offers technicians a development route to becoming a highly effective technician. It is aimed at garages and technicians who want a defined, structured route of education, training with an accredited qualification outcome. The diagnostic technician program is suited to technicians operating in the motor industry at level 3. We offer a payment plan for this program to ensure your training budget delivers the very best value for money. 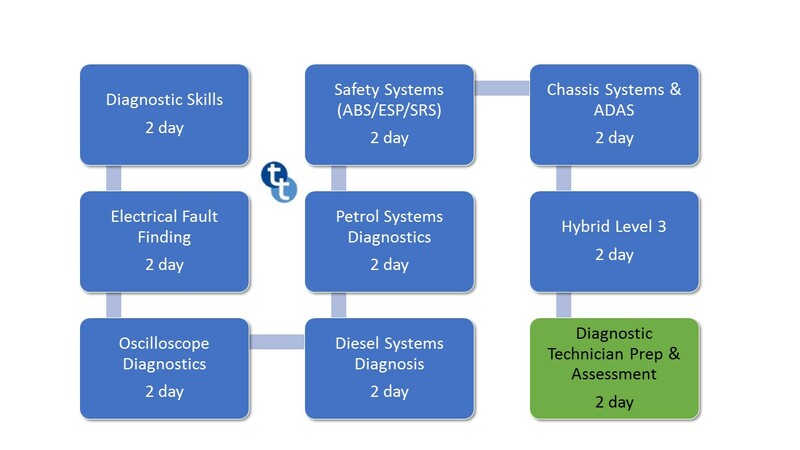 The Diagnostic Technician program can be completed in 12 months with courses running at 6 week intervals (click Date & Costs button below for course dates). The course plan is agreed at the beginning of the program and the technical topics team will work with you during the program to ensure your success in achieving the status of Accredited Diagnostic Technician. Successful completion of the program and assessment will result in the award of the accredited Diagnostic Technician award and your entry on to the IMI’s Professional Register. Your professional status of Diagnostic Technician is recognised throughout the motor industry. Accurate and efficient diagnosis is a requirement for success in the business of diagnostics. This course will ensures that you have a thorough understanding and knowledge of what is necessary to achieve a quick and accurate diagnosis. For every vehicle problem there are best-outcome methods and an efficient approach to establish the root cause of the symptoms. This course will show the various elemets that should be implimented when approaching a variety of vehicle problems so that vehicle it fixed first time every time. You will discover which diagnostic tools and information are essential to successful diagnosis outcomes and how they should be used to execute the best diagnostic routine. You’ll also learn how to reduce diagnostic comebacks and how to fix more cars faster. 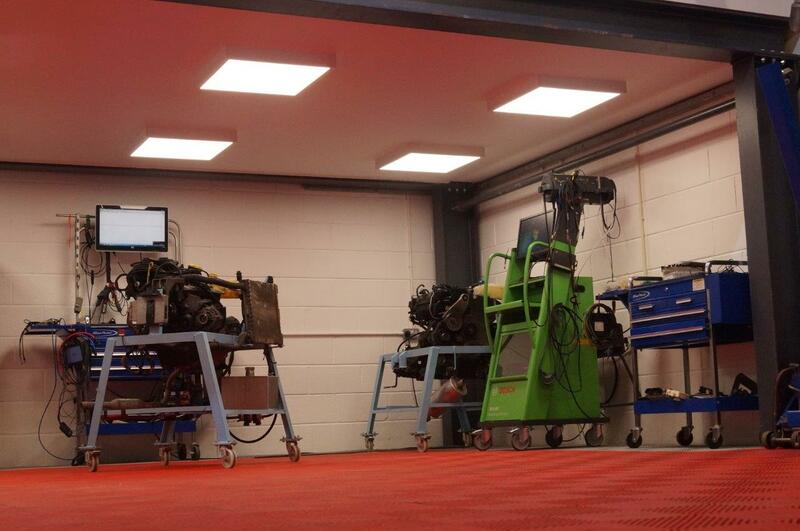 Technicians are required to carry out electrical testing and diagnosis on modern vehicle systems. We’ll show you foolproof techniques for quick and accurate electrical fault finding and provide you with a working knowledge and a range of ‘go-to’ test procedures which will enable you to correctly diagnose a wide range of electrical system circuit faults. Exercises and experiments on this course will provide you with a sound foundation knowledge of auto electrical principles and fundamental test procedures using digital multi-meters, test lights, power probes and other critical test and measurement tools. You’ll be able to put these into practice as soon as you get back to work to fix more cars faster. Gain invaluable skills in the utilisation of an oscilloscope for quick and accurate fault diagnosis . 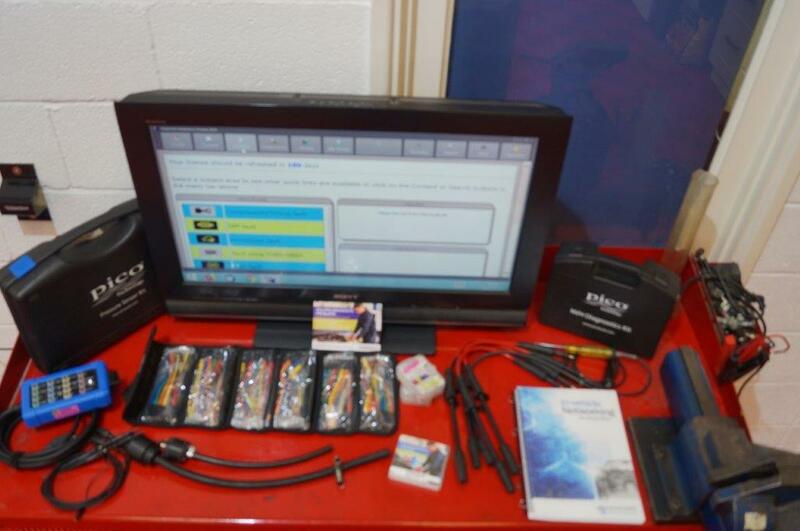 This course is for automotive technicians wod would like to be able to quickly and accurately diagnose vehicle system faults and test electrical circuits or components. 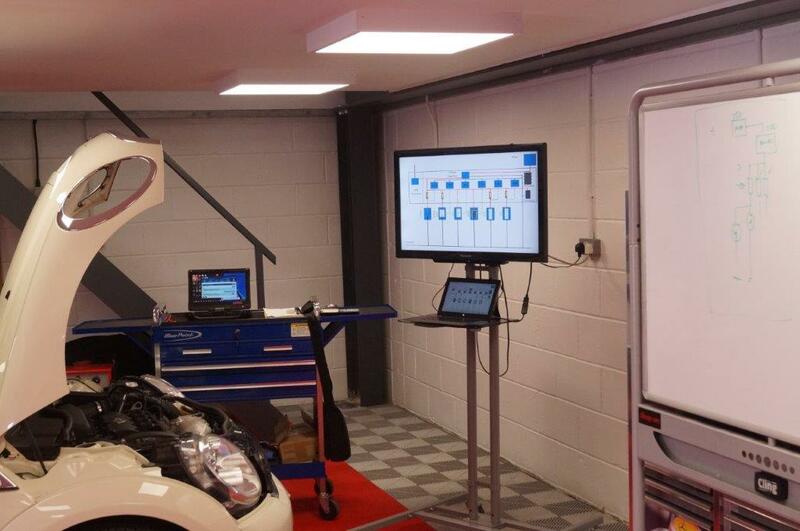 Automotive oscilloscopes are being increasingly utilised for the confirmation of faults and are now an essential piece of equipment for any workshops. The ability to test the signals passing between electronic systems and the respective actuators and sensors is a highly desireable skill-set. This course provides a solid introduction to the skills required in using a typical Automotive Oscilloscope for fault diagnosis. Diesel engine management problems are a large element of the diagnostic problems seen by many technicians. This course has been designed to provide you with critical system knowledge and understanding which relates to modern diesel control systems and how to diagnose faults with them quickly and effectively. The course builds from diesel engine principles, through essential diagnosis, including low pressure supply systems, their operation and the most appropriate tests & diagnostic procedures. We will also cover how high system fuel pressure is generates along with the different control strategies an components which are employed in the efficient running of the modern diesel vehicle. You will learn what and how to test when faults or symptoms are present. You will also learn about the different types of fuel metering devices and how they can best be assessed as part of an efficient diagnostic routine to include sensors and actuators as well as emission control systems including high and low pressure EGR, DPF, AdBlue & SCR as well as boost control. Petrol Engine drivability faults, warning light and running concerns happen frequently, however, these faults may not always be dealt with quickly and accurately. This course will change that as it will provide you with the skills and knowledge required for effective diagnosis of these systems enabling you to fix more cars faster. The course will provide you with a sound understanding of typical engine management systems operation. We’ll delve deep into a wide variety of sensor and actuator test and measurement and you’ll develop a ‘best results’ diagnosis routine using a range of diagnostic equipment, including the oscilloscope. We will delve into fuel supply systems and ignition systems as well as emission control system principles (including lambda diagnosis) and fuel trim analysis. You will learn skills during this training course that you’ll be able to put into practice as soon as you get back to the workshop. ABS, ESP and SRS have been with for many years, but can present a real challenge to quickly and accurately diagnose faults and symptoms. This course will cover a range of systems that you will face in your workshop. The course is designed to give you confidence in accurately diagnosing ABS, ESP and SRS faults. You will learn about the form, function and operation of ABS, ESP and SRS systems, including their component parts and operational functionality across a range of different system types. You will discover the different types of hardware including various analog, digital and intelligent sensors found within these systems. We will be using a range of diagnostic and test equipment including oscilloscopes, meters, diagnostic scan tool and information sources which will see you return to work with a broad range of diagnostic, test and measurement skills. You will be able to put these skills to work as soon as you get back to your workshop. Chassis and ADAS systems course deal with the passive and active safety systems fitted to the modern motor vehicle. This course will cover some of the latest technology used in accident avoidance and driver assistance systems such as night vision systems, lidar, radar, V2X, lane departure warning, park assist and predictive cruise control systems. You will learn about the many different types of driver assistance systems, how to test, measure, set-up, calibrate, re-calibrate and diagnose errors. You will use a wide variety of diagnostic and test equipment and a range of information sources. This course will give you the confidence to work on, diagnose and calibrate a wide range of chassis and ADAS related systems. Our Hybrid and Electric Vehicle Level 3 training course has been designed for technicians who are required to diagnose, remove, refit and repair Hybrid and Electrical Vehicle components. It follows the National Occupational Standard at Level 3 and successful completion (via formal assessment) leads to a nationally recognised Level 3 qualification. This training course will enable you to recognise, evaluate remove and refit hybrid and electric vehicle components, as well as making the system safe. You will learn to safely use a suitable multimeter, insulation tester, the oscilloscope and a diagnostic scan tool (DTC’s and Data Stream) as well as specilist safety equipment. You will access vehicle manufacturers’ information as necessary to obtain accurate and safe repair operations. We have teamed up with the IMI in order to have this course accredited at Level 3. One of the reasons we have done this is in anticipation of proposed health and safety legislation and/or licencing for technicians who want to work with these vehicle systems. This course meets the National Occupation Standards at Level 2 and Level 3, and is formally assessed. Successful completion of the course and the assessment will lead to the award of a Level 3 Qualification in Hybrid and Electric Vehicle. The Diagnostic Technician Assessment involves a day of final preparation and as well as a day of practical assessments. This session is the pinnicle of the Diagnostic Technician Training Program. Under the expert guidance of your course instructor, you will be prepared for the practical assessment day to ensure that you as well prepared as possible.